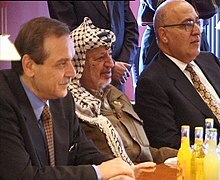 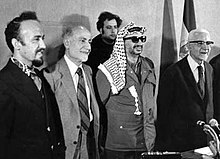 After Israel withdrew from Lebanon, cross-border hostilities between PLO forces and Israel continued, though from August 1981 to May 1982, the PLO adopted an official policy of refraining from responding to provocations. 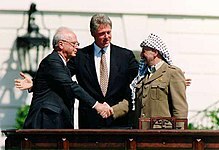 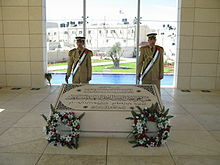 On 6 June 1982, Israel launched an invasion of Lebanon to expel the PLO from southern Lebanon. 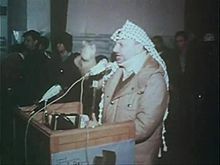 Beirut was soon besieged and bombarded by the IDF; Arafat declared the city to be the "Hanoi and Stalingrad of the Israeli army." 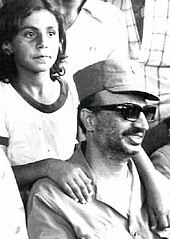 The Civil War's first phase ended and Arafat—who was commanding Fatah forces at Tel al-Zaatar���narrowly escaped with assistance from Saudi and Kuwaiti diplomats. 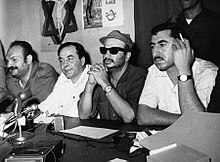 Towards the end of the siege, the US and European governments brokered an agreement guaranteeing safe passage for Arafat and the PLO—guarded by a multinational force of eight hundred US Marines supported by the US Navy—to exile in Tunis.